White Sport in Magoun Square will reopen tomorrow after a two-week vacation. I can hear residents rejoicing already! Also rejoicing are the candidates facing a Primary on September 24th. Just a couple of weeks to go before you're told yay or nay for November by the voters! 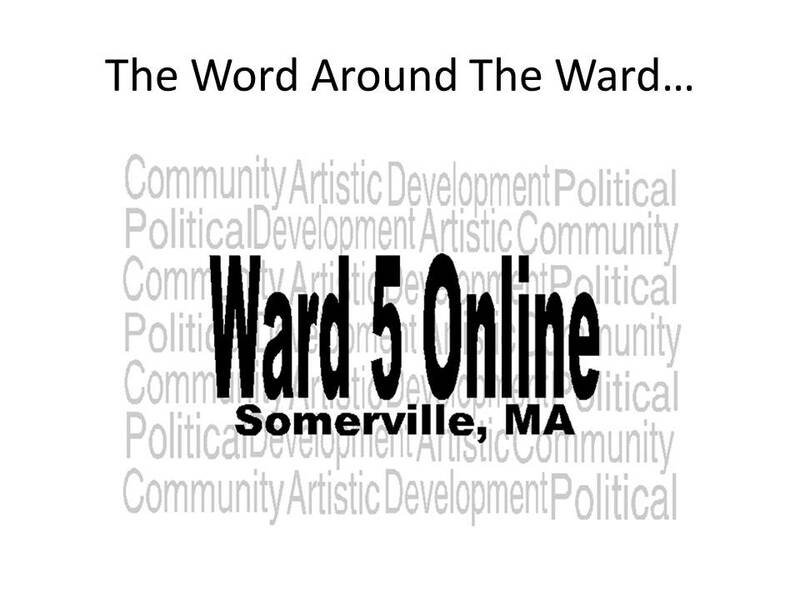 For Ward 5, the sample ballots have been posted on the Elections website for your review. No word yet on when our other two new eateries, 517 and 498 Medford Streets, will be opening. SomerStreets will hold its last festival of the year on September 8th in between Davis and Teele Square on Holland Street. Ward 5 Online would like to welcome back all students to the area! Please be sure to frequent our local businesses!